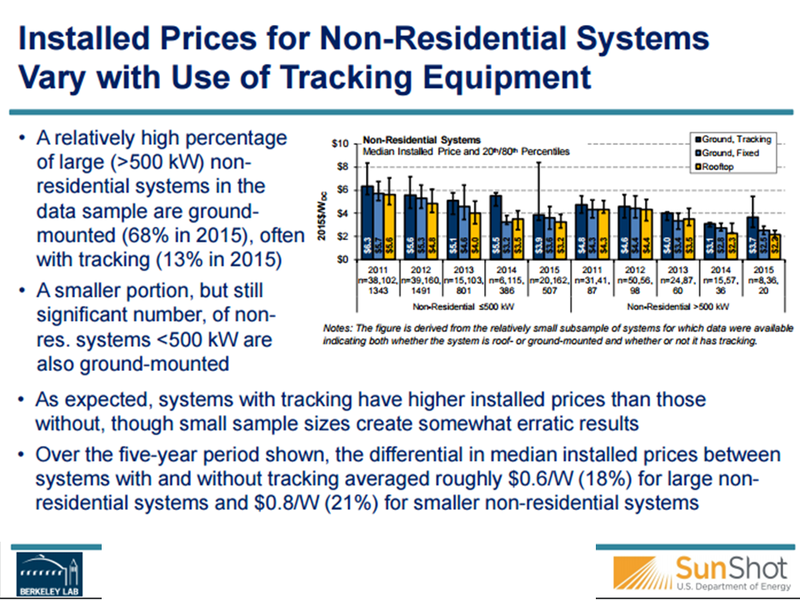 Now in its ninth edition, Lawrence Berkeley National Laboratory (LBNL)’s Tracking the Sun report series is dedicated to summarizing trends in the installed price of grid-connected solar photovoltaic (PV) systems in the United States. The present report focuses on residential and non-residential systems installed through year-end 2015, with preliminary trends for the first half of 2016. An accompanying LBNL report, Utility-Scale Solar, addresses trends in the utility-scale sector. This year’s report incorporates a number of important changes and enhancements from prior editions. Among those changes, LBNL has made available a public data file containing all non-confidential project-level data underlying the analysis in this report. Installed Prices Continued to Decline through 2015 and into 2016. 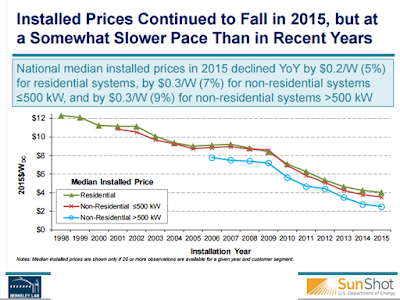 National median installed prices in 2015 declined year-over-year by $0.2/W (5%) for residential systems, by $0.3/W (7%) for non-residential systems ≤500 kW, and by $0.3/W (9%) for non-residential systems >500 kW. This continues the steady downward trend in PV system pricing, though the pace of decline is somewhat slower than in recent years. Preliminary data for the first half of 2016 show a mixed picture, but generally suggest that installed prices have continued to fall at a modest pace, at least within a number of key states and market segments. The slowing rate of decline may partly reflect a number of confounding factors could be offsetting underlying cost reductions. These include, for example, the increasing prevalence of solar loans with origination fees embedded in the installed price, greater use of module-level power electronics, module import tariffs, and a shift in the underlying geographical mix of the data sample towards more-expensive states (e.g., California). 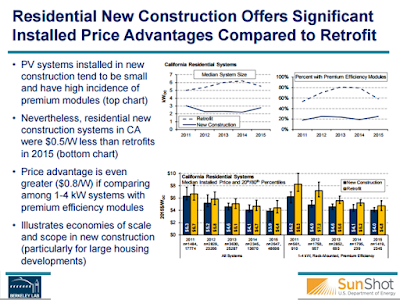 Recent Installed Price Reductions Have Been Driven Primarily by Declines in Soft Costs. 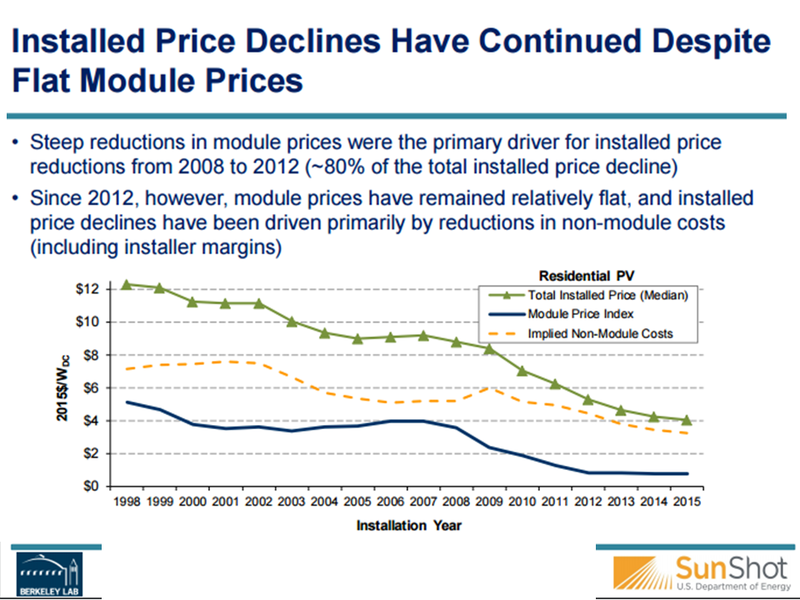 A period of rapidly falling installed prices began in 2009, prompted by a steep drop in global prices for PV modules. 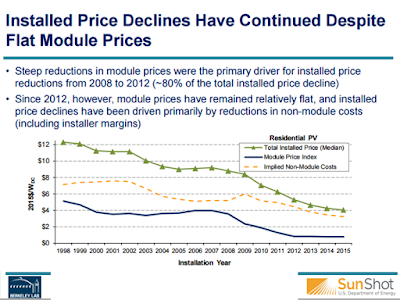 Since 2012, however, module prices have remained relatively flat, while installed prices have continued to fall as a result of continuing reductions in the variety of other, non-module costs. 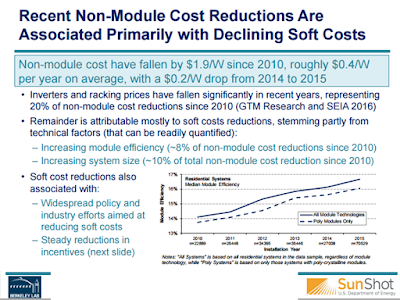 Reductions in inverter and racking equipment costs constitute roughly 20% of the drop in non-module costs for residential systems in recent years. 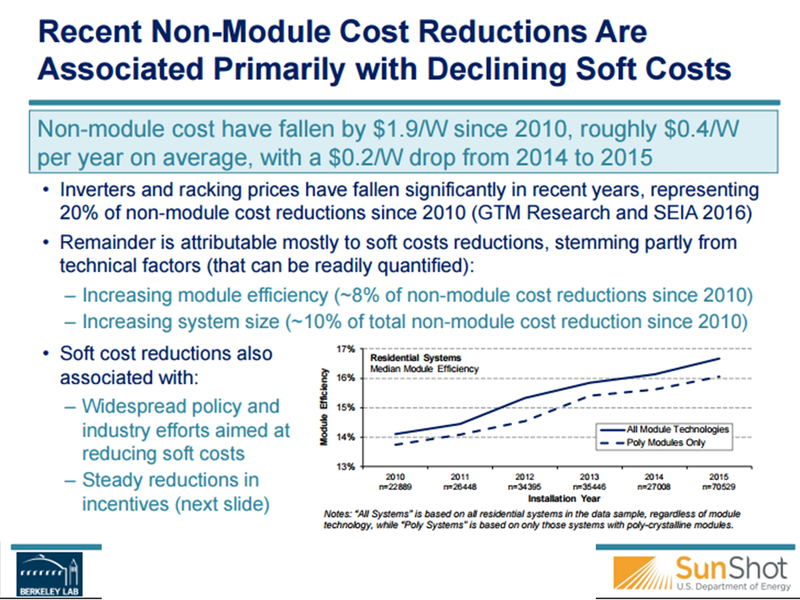 Much of the remainder can be attributed to reductions in the aggregate set of “soft” costs, which have fallen partly as a result of increases in system size and module efficiency, though also because of a broader array of efforts within the industry and among policymakers to target soft costs. Installed Price Declines Have Been Partially Offset by Falling Incentives. Cash incentives (i.e., rebates and performance-based incentives) provided through state and utility PV incentive programs have fallen substantially since their peak a decade ago, and have been largely phased-out in many key markets. Depending on the particular program, reductions in cash incentives over the long-term equate to roughly 60% to 120% of the corresponding drop in installed prices. This trend is partly a response to installed price declines and the emergence of other forms of incentives, however it has also been a deliberate strategy by program administrators to drive cost reductions in the industry. National Median Installed Prices Are Relatively High Compared to Other Recent Benchmarks, Particularly for Residential and Smaller Non-Residential Systems. 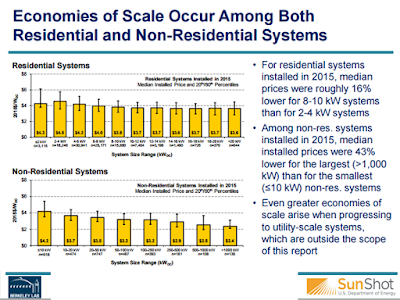 Across all systems in the data sample installed in 2015, the median installed price was $4.1/W for residential systems, $3.5/W for non-residential systems ≤500 kW in size, and $2.5/W for non-residential systems >500 kW. 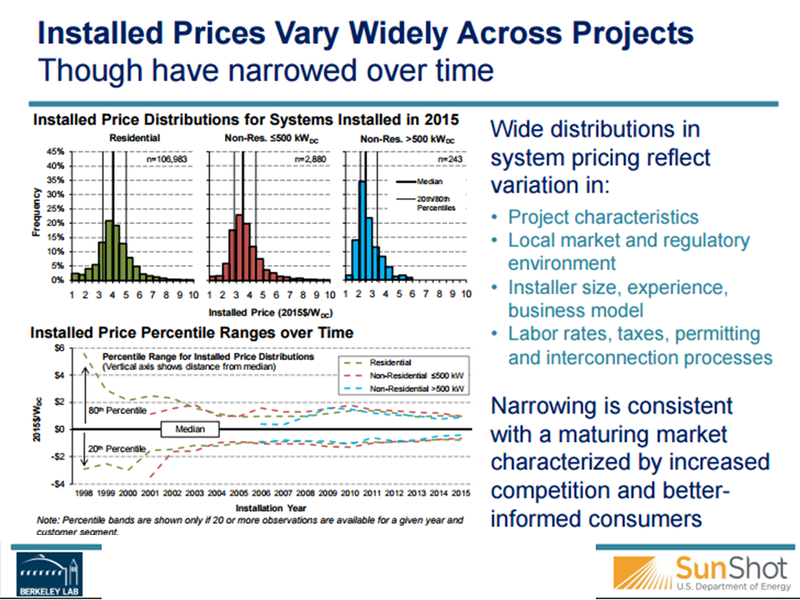 By comparison, a number of other recent benchmarks for PV system prices or costs range from $2.7/W to $4.5/W for residential systems, and from $1.7/W to $4.3/W for non-residential systems. Differences between national median prices and these other benchmarks reflect the diversity of underlying data sources, methodologies, and definitions. 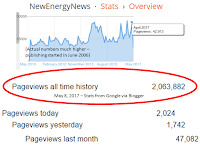 For example, national median prices are historical in nature, represent prices not costs, are heavily impacted by several large and relatively high-priced state markets, and may be subject to inconsistent reporting practices across installers. The national median prices presented in this report thus should not necessarily be taken as indicative of “typical” pricing in all contexts, nor should they be considered equivalent to the underlying costs faced by installers. Installed Prices in the United States Are Higher than in Most Other Major National PV Markets. Compared to median U.S. prices, installed prices reported are substantially lower in a number of other key solar markets. The starkest differences are in comparison to Germany, where typical pricing for residential systems was around $1.7/W in 2015. These pricing disparities can be attributed primarily to differences in soft costs, as hardware costs are relatively uniform between countries. Installed Prices Vary Widely Across Individual Projects. Although installed price distributions have generally narrowed over time, considerable pricing variability continues to persist. 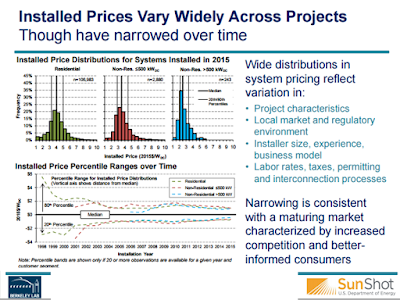 Among residential systems installed in 2015, roughly 20% of systems were priced below $3.3/W (the 20th percentile value), while 20% were priced above $5.0/W (80th percentile). 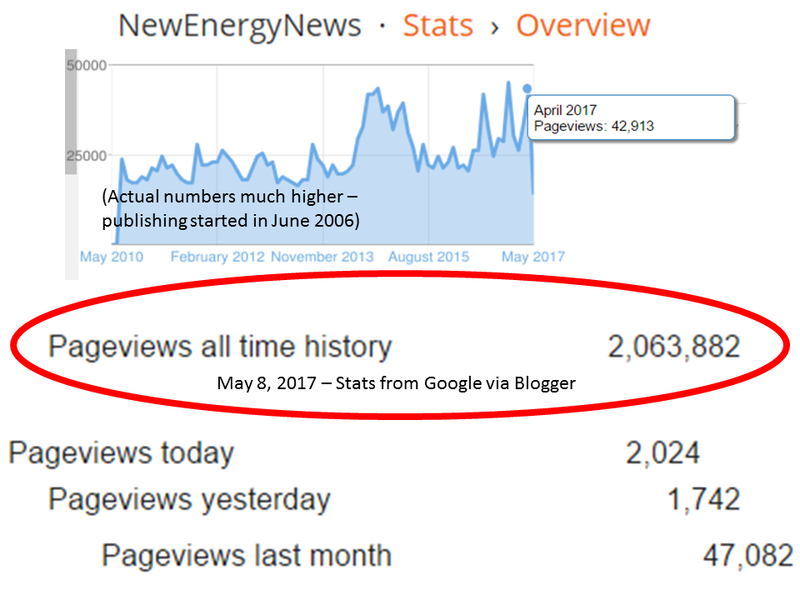 Non-residential systems ≤500 kW exhibit a similar spread, while the distribution for non-residential systems >500 kW is somewhat narrower. 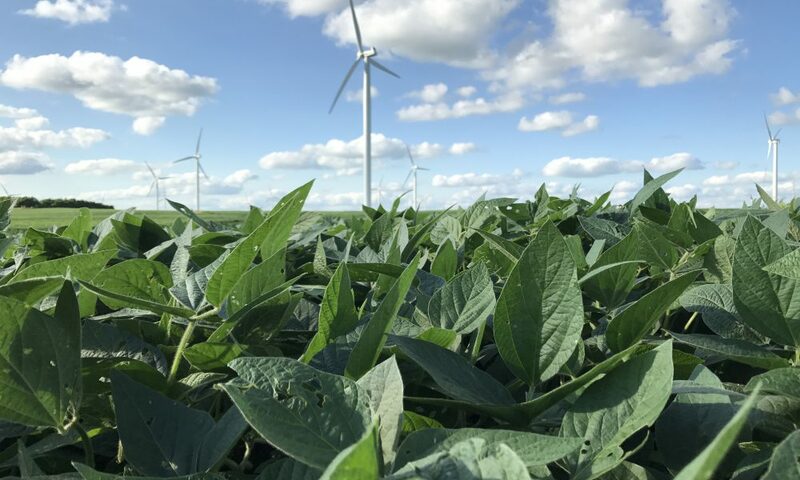 The potential underlying causes for this variability are numerous, including differences in project characteristics, installers, and local market or regulatory conditions. Significant Scale Economies Exist for Both Residential and Non-Residential Systems. For residential systems installed in 2015, median prices for systems in the 8-10 kW range were roughly 16% lower than for 2-4 kW systems. 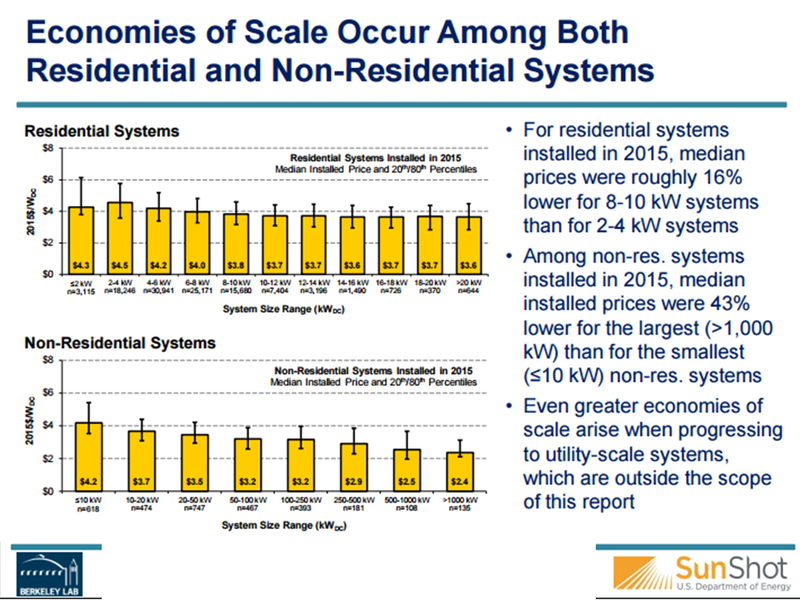 Among non-residential systems installed in 2015, median installed prices for the largest class of systems >1,000 kW in size were 43% lower than for the smallest set of non-residential systems ≤10 kW. Even greater economies of scale may arise when progressing to utility-scale systems, which are outside the scope of this report. Installed Prices Differ Among States, with Relatively High Prices in Some Large State Markets. For residential systems installed in 2015, median installed prices range from a low of $3.2/W in Nevada to a high of $4.8/W in Minnesota. Pricing in most states is below the aggregate national median price. This is because some of the largest state markets – California, Massachusetts, and New York – are relatively high-priced, which tends to pull overall U.S. median prices upward. Cross-state installed pricing differences can reflect a wide assortment of factors, including installer competition and experience, retail rates and incentive levels, project characteristics particular to each region, labor costs, sales tax, and permitting and administrative processes. Third-Party Owned Systems in the Residential Sector Generally Had Lower Installed Prices in 2015 than Customer-Owned Systems. 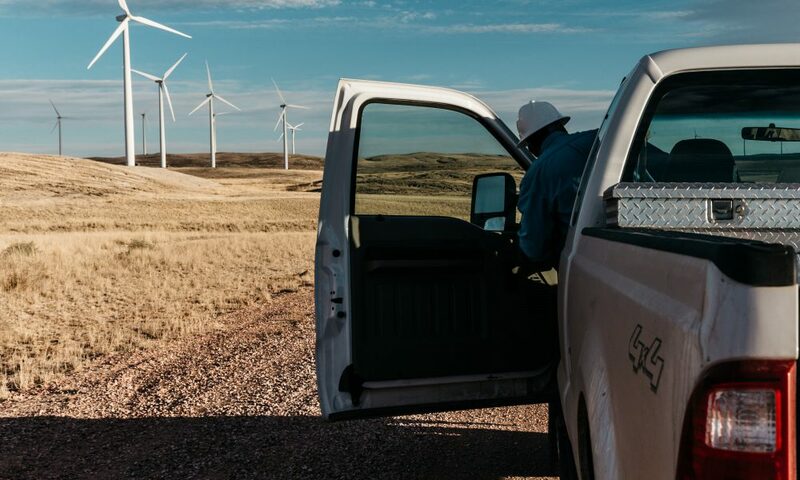 This report does not evaluate lease terms or power purchase agreement (PPA) rates for TPO systems; however, it does include data on the dollar-per-watt installed price of TPO systems sold by installation contractors to non-integrated customer finance providers. 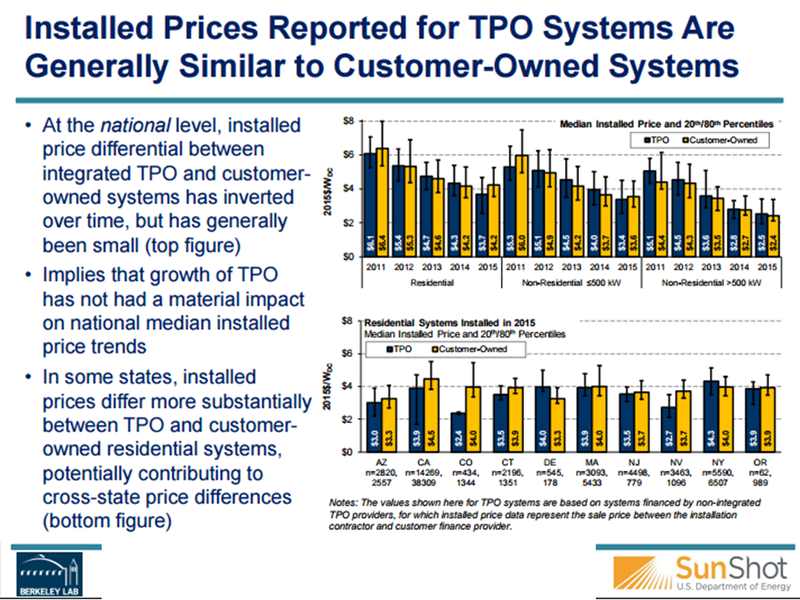 In a reversal from previous years, the national median installed price of residential TPO systems in 2015 was $0.5/W lower than for customer-owned systems. 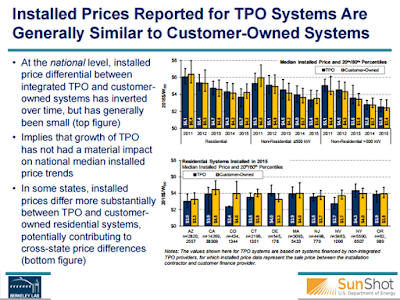 Within individual states, however, the relative installed price of residential TPO systems compared to customer-owned systems can vary quite substantially, potentially reflecting the particular installers and business models present in each state. Prices Vary Considerably Across Residential Installers Operating within the Same State. In examining five large residential markets (Arizona, California, Massachusetts, New Jersey, and New York), installer-level median prices within each state differ by anywhere from $0.8/W to $1.2/W between the upper and lower 20th percentiles, suggesting a substantial level of heterogeneity in pricing behavior or underlying costs. Low-priced installers in these states – e.g., 20% of installers in New Jersey have median prices below $3.1/W – can serve as a benchmark for what may be achievable in terms of near-term installed price reductions within the broader market. Interestingly, however, no obvious or consistent relationship is observed between installer size and prices – i.e., high-volume installers are not associated with lower-priced systems. Residential New Construction Offers Significant Installed Price Advantages Compared to Retrofit Applications. 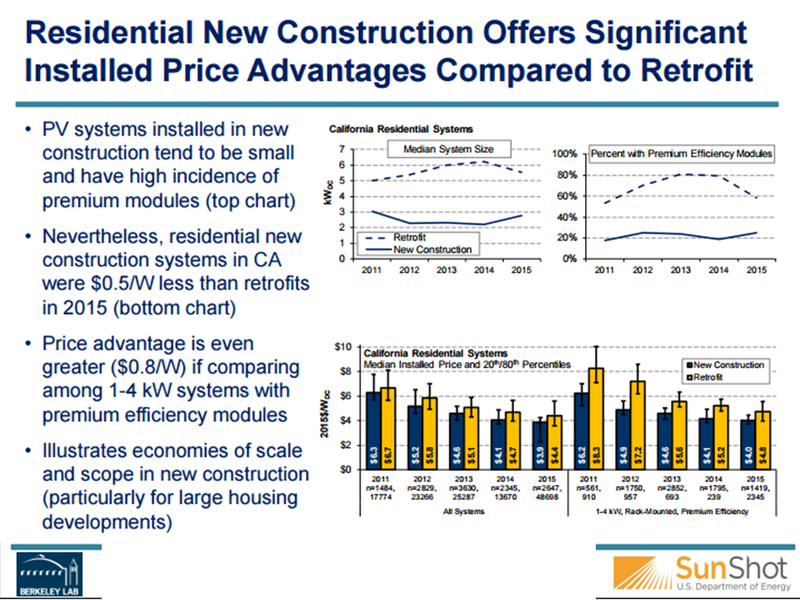 Within California, residential systems installed in new construction have been consistently lower-priced than those installed on existing homes, with a median differential of $0.5/W in 2015, despite the significantly smaller size and higher incidence of premium efficiency modules among new construction systems. If comparing among systems of similar size and module technology, the installed price of new construction systems was $0.8/W lower than for retrofits. Installed Prices Are Higher for Systems at Tax-Exempt Customer Sites than at For-Profit Commercial Sites. Tax-exempt site hosts include schools, government facilities, religious organizations, and non-profits, and these customers collectively represent a substantial share of the non-residential data sample. Systems at tax-exempt customer sites are consistently higher priced than similarly sized systems at for-profit commercial customer sites. 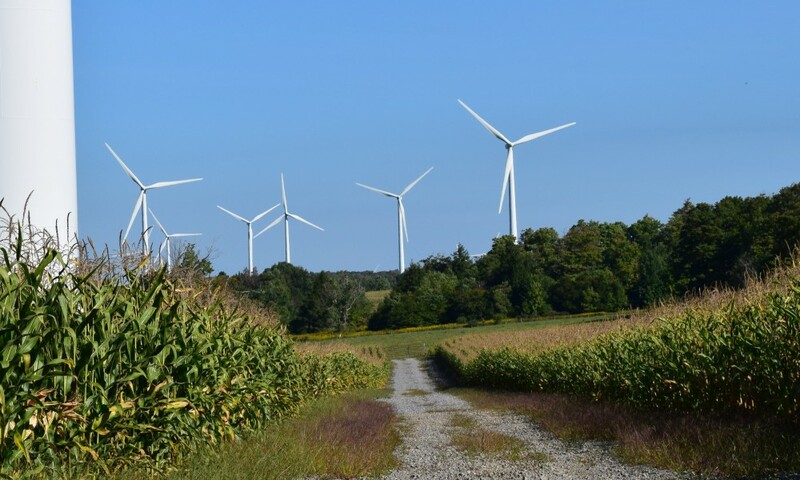 In 2015, the median differential was roughly $0.3/W for systems ≤500 kW and $1.1/W for >500 kW systems. Higher prices at tax-exempt customer sites reflect potentially lower negotiating power and higher incidence of prevailing wage/union labor requirements, domestically manufactured components, and shade or parking structures. 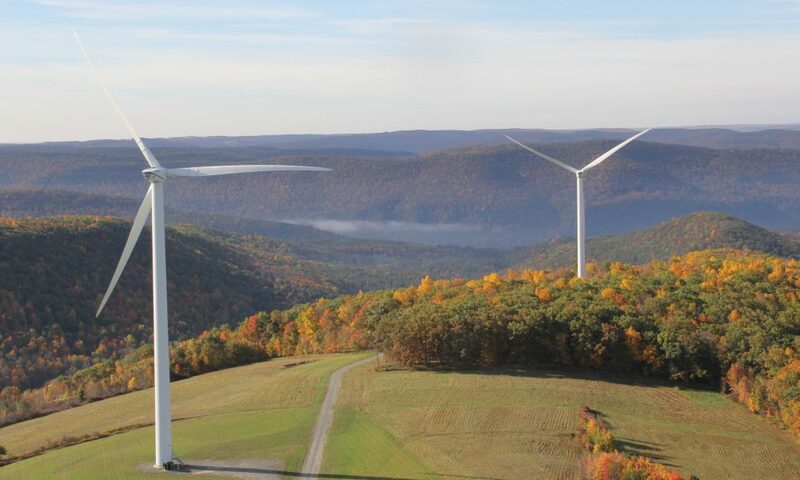 Installed Prices Are Substantially Higher for Systems with High-Efficiency Modules. Roughly one-third of the 2015 systems in the data sample have module efficiencies greater than 18%, and installed prices for systems in this class have consistently been higher-priced than those with loweror mid-range module efficiencies (<18%). In 2015, the median differential was roughly $0.6/W within the residential segment and $0.5/W among small non-residential systems. These trends suggest that the price premium for high-efficiency modules in many cases has outweighed any offsetting reduction in the balance-of-system (BOS) costs-per-watt due to higher power density. Module-Level Power Electronics Have a Seemingly Small Effect on Installed Prices. Modulelevel power electronics (MLPE), including both microinverters and DC optimizers, have made substantial gains in market share in recent years. Despite higher hardware costs associated with these devices, installed prices for systems with MLPE have generally been nearly identical to, or even less than, installed prices for systems without MLPE. For example, among residential systems installed in 2015, median installed prices were $4.1/W for those with microinverters and those with no MLPE, while systems with DC optimizers had a lower median price of $3.8/W. The negligible (or negative) installed price premium exhibited by the data suggest that MLPE may offer some offsetting savings on non-inverter BOS costs or soft costs. 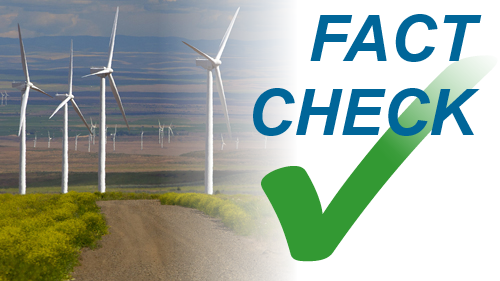 Installed Prices for Non-Residential Systems Vary with the Use of Tracking Equipment. Comparing between ground-mounted systems with and without tracking, the differential in median installed price has varied considerably from year to year, given underlying small sample sizes. On average, however, the median installed price of systems with tracking has been $0.6/W (18%) higher among the set of large non-residential systems and $0.8/W (21%) higher among small nonresidential systems. 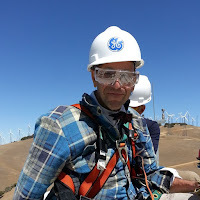 These pricing differentials are significantly larger than has been reported elsewhere for larger utility-scale projects, but is roughly proportional to the increased electricity generation associated with single-axis tracking equipment.